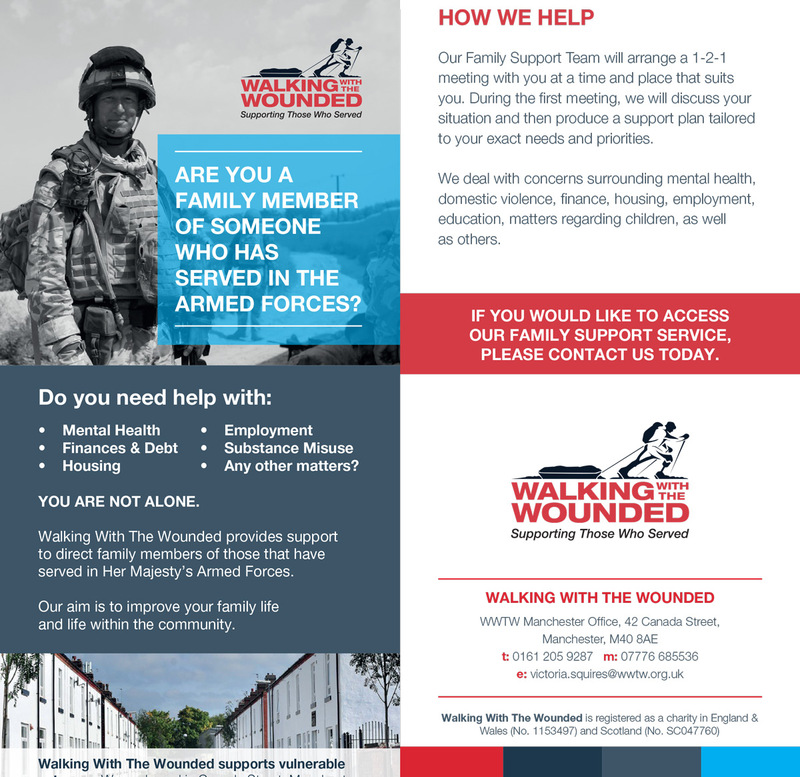 Walking With The Wounded now provides support to direct family members of those that have served in Her Majesty’s Armed Forces. The charity delivers high quality direct support to those ex-service personnel and their families who are struggling, offering bespoke support plans and advice to ensure positive outcomes. The aim being to improve family life and life within the community. WWTW works closely with other agencies by contributing to and participating in initiatives which offer opportunities for vulnerable members of the Greater Manchester community. Our Family Support Team will arrange a 1-2-1 meeting with the family member at a time and place that suits them. During the first meeting, the WWTW Family Support Officer will discuss the situation and then produce a support plan tailored to their exact needs and priorities. WWTW deal with concerns surrounding mental health, domestic violence, finance, housing, employment, education, matters regarding children, as well as others.